Imagine driving into a town, passing three signs on your way. The first reads "Raped while dying," the second one proclaims "And still no arrests?" before finally landing on "How come, Chief Willoughby?". Would you carry on driving into that town, or would you flick your SatNav onto the next best route and back away from what you'd seen? In an ideal world these billboards wouldn't have to exist - and, as far as I'm aware, they don't exist - but Martin McDonagh's new film doesn't take place in an ideal world. 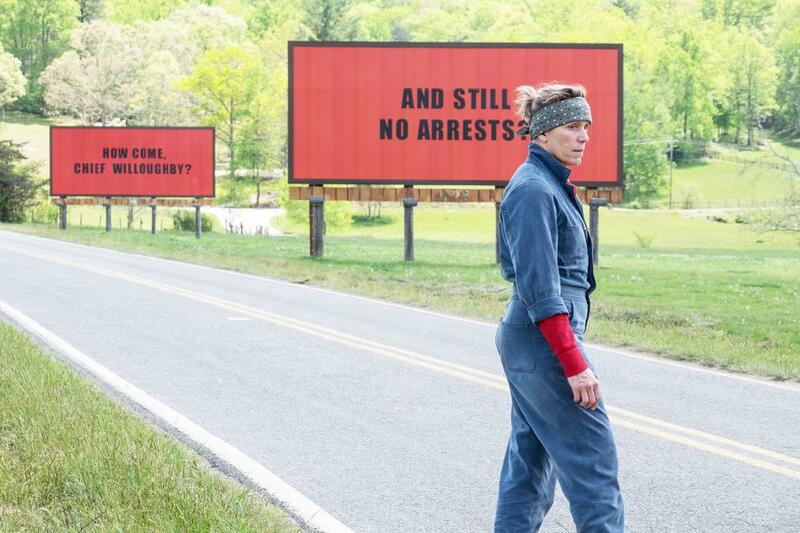 Saying that there's a darkness to the core of Three Billboards Outside Ebbing, Missouri may be the understatement of the century. McDonagh's film is the very definition of black comedy, sourcing its humour in places you certainly wouldn't find in a Pixar film to say the least. 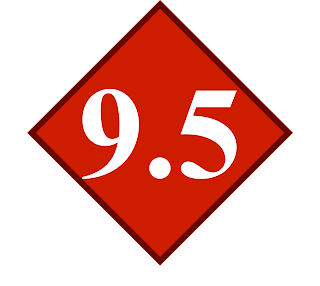 It concerns itself with racism, prejudice and the criminal justice system, but rather than just take stabs at these easy targets it offers something more thoughtful and, in one particular area, fantastically daring. Frances McDormand is Mildred Hayes, the mother of a seventeen year old murder victim and the woman who put up the three billboards outside Ebbing, Missouri. She's angry at the world, and justifiably so, but McDonagh's script immediately dovetails away from a One Woman Against The World narrative. We find sympathy with the cancer-ridden Chief Willoughby (a very good Woody Harrelson), the detective who didn't so much as mess up the Hayes case but run out of options due to a total lack of evidence. We find sympathy with Mildred's son Robbie (Lucas Hedges), a visibly depressed teenager who just wants a normal, easy life. Three Billboards could definitely still work without the expanded character roster, but it's a richer film for doing so. Perhaps most notably, McDonagh lets us find sympathy in Officer Dixon, played with a career best performance by Sam Rockwell. Dixon is introduced to us as the definitive US cop stereotype - he's lazy, homophobic and openly racist, arresting a non-coincidently black supporting character for minor marijuana charges solely to prove a point. Yet, Three Billboards dares to give him an arc, allows him to grow and change. It's a bold move, and one that certainly hasn't sat well with many, but it's a rare glimpse of optimism inside McDonagh's otherwise very morbid film. Even the darkest, evilest souls can begin to change their ways - but is it enough for complete redemption? The film leaves that up to us to decide. Three Billboards' ensemble cast is very much its biggest asset - supporting turns from Peter Dinklage, John Hawkes, Abbie Cornish and Caleb Landry Jones work to flesh out the film's town citizens - but the film's real triumph remains McDormand. In unquestionably her best work since Fargo back in 1995, McDormand draws everything she needs from us with her performance - we're able to sympathise with her in one scene, laugh at her razor-tongued insults the next, but completely question her moral grounding and attitude just moments later. The film's script asks a lot of McDormand but she doesn't bat an eyelid at such a task, she's loud and aggressive but also tender and warm should she need to be. It's a performance to shatter the Richter scale. That most of the film's humour comes through her is even more impressive. Three Billboards' dark comedic style isn't exactly innovative, but it does its job well. It sources its humour in current topics, lending the film a freshness to help liven up its bleak cinematography and attitude. Willoughby makes a crack about how if you took all the racist cops out of the Police force you'd be left with three officers and, as he so delicately puts it, they'd all hate the fags. It's one of the film's funniest moments due to Harrelson's self-deprecating line delivery, but the rather loud subtext it comes with hits even harder. To top it all off, it's just one of many similar jokes running through McDonagh's screenplay. Three Billboards is less a film made with love than one made with anger, but it finds fleeting moments of sincerity to help juxtapose the nasty with the nice: a violent dialogue between Mildred and Willoughby takes a drastic tonal shift when he coughs blood onto her, and the film makes a welcome but surprise choice when Mildred confronts her former husband and his new beau in a restaurant. This isn't an evil film, and it certainly isn't tough to have a blast with, but it's one that requires the right kind of attitude to digest into something that sits right in afterthought. McDonagh's script is a bold one, and his cast clearly believe in every word of it, but it's McDormand you'll come away remembering. Well, that and the brilliantly open-ended conclusion that gives us the perfect amount to work with in forming our own happy ending - should we want such a thing, of course. Violently written but delicately crafted, Martin McDonagh's daring Three Billboards Outside Ebbing, Missouri is a funny, thoughtful film with an earth-shattering performance courtesy of Frances McDormand.